In this poetry workshop, we’ll read contemporary poems that utilize autobiography while still focusing on the essential bones of poetry: line, music, and syntax. We’ll read poems together out loud and use writing prompts to mine our own personal or historically relevant stories and start to unravel their poetic core. Will write in class and discuss the art of poetry writing at both the line level and the universal level. 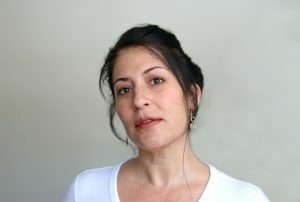 Ada Limón is the author of five books of poetry, including Bright Dead Things, which was named a finalist for the 2015 National Book Award in Poetry, a finalist for the Kingsley Tufts Poetry Award, a finalist for the 2016 National Book Critics Circle Award, and one of the Top Ten Poetry Books of the Year by The New York Times. Her other books include Lucky Wreck, This Big Fake World, and Sharks in the Rivers. Her new collection, The Carrying, was released by Milkweed Editions in August of 2018 and has been called “her best yet” by NPR, “remarkable” by The New York Times, “exquisite” by the Washington Post, and one of the Ten Titles to Pick Up Now by O Magazine. She serves on the faculty of Queens University of Charlotte Low Residency M.F.A program, and the 24Pearl Street online program for the Provincetown Fine Arts Work Center. She also works as a freelance writer in Lexington, Kentucky.